Protect and display your documents in style. A black, semi-rigid leather-like cover opens to reveal an innovative spiral binding system that allows for easy opening and page turning. It has a 20-page capacity. 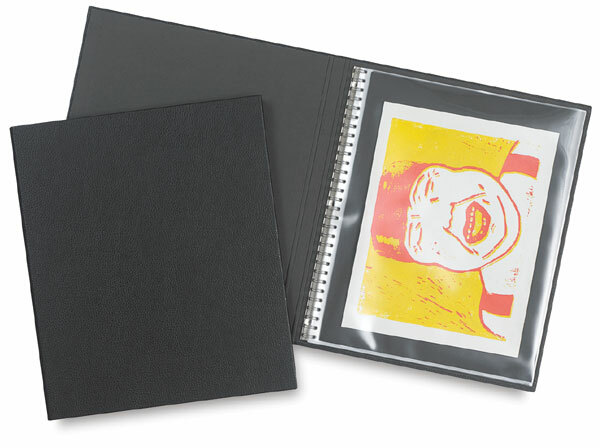 Included are 12 top-opening, archival, acid-free polypropylene Cristal laser sheet protectors, adaptable to current technologies, such as digital imaging, color photocopies, and laser copies. Deluxe black paper inserts are also included. Additional page refills are available in packages of 10.